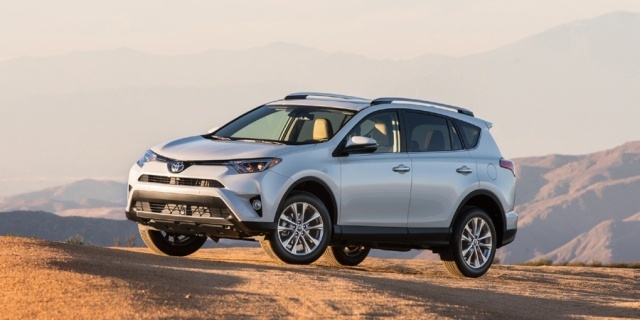 The Toyota RAV4 provides seating for five in a spacious cabin and comes powered by 4-cylinder engines with optional hybrid support. AWD is an option. For 2017, the Toyota RAV4 comes standard with Toyota Safety Sense P (TSS-P) that includes forward collision warning and automatic emergency braking, lane departure alert, automatic high beams, and dynamic radar cruise control. In addition, Platinum and hybrid SE trims are now available. Find the used Toyota RAV4 of your choice from a dealer in your area. Search our used car listings now.